Going Above and Beyond for YOU! Buying or Selling Your Sacramento Home? Look no further!As one of Sacramento's top go to agents I'm here to help YOU! Whether you are looking to buy real estate in Sacramento or sell real estate in Sacramento and any of it's surrounding neighborhoods, Phillip Baiz of Keller Williams Realty has you covered! First time home buyer? Suffering from foreclosure? Looking for a Sacramento home with a pool? 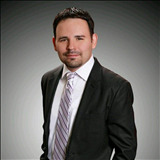 Phillip Baiz of the Baiz Realty Group Sacramento County, Yolo County, Placer County and El Dorada County. At PhillipBaiz.com you can get access to thousands of homes for sale whether you search by city, address, MLS #, map, and so much more. Start your online home search NOW!